There isn’t too much mystery when it comes to Point lights as there as simple lights and they are often overlooked. 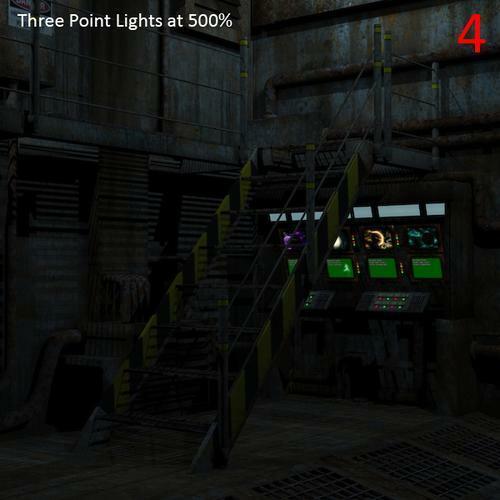 Below is glimpse of how point lights can be used. I hope you find this helpful. Point lights: Think of a point light as a single point where light is emitted spherically outward, ball shaped. The spread of the light is governed by the intensity. The brighter the light, the further the light will spread outward and vice versa. Linear Point lights: Light is emitted the same as a normal point light above but with an added function in the Parameters Pane when the light is selected, called Fall OFF. Fall Off is a term for how far light travels before it fades out to nothing. So we have Fall Off Start and Fall Off End, fairly self explanatory, set the distance to where the light starts to fade and set the end distance to where the light stops altogether. Between these the two, Start and End, the light will fade to nothing. The light will be its brightest before the set Start distance. 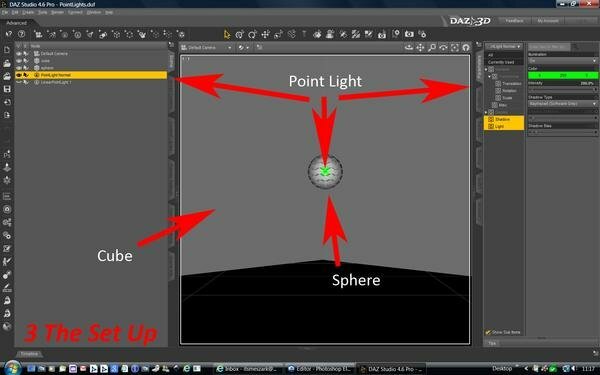 TIP: The Linear Point light has two guides in the viewport window for the Fall Off Start and End distances, an inner and outer to help gauge where the light will be and stop. There is a mathematical formula for real world light fall off called "the inverse square law". Give it a Google to know more. 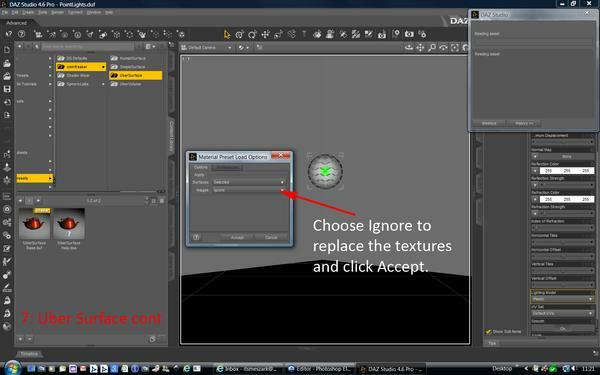 Just know that the Linear Point Light that is included in Daz Studio doesn't follow this law. However Uber Point lights and Spot Lights do. NOTE: When it comes to shadows and points lights of all kinds shadows will only work when RayTraced Shadows are selected in the Parameters Pane. They will not work with Deep Shadow Maps. Scaling a point light has no effect on light intensity or brightness. But scaling it down may help to place these lights in tight spots. I like the Linear Point because of the Fall Off functionality. I can have a soft light travel further or have a strong light that is contained to a shorter spread. Well it is art, who cares about real world order, well apart from the BWC? 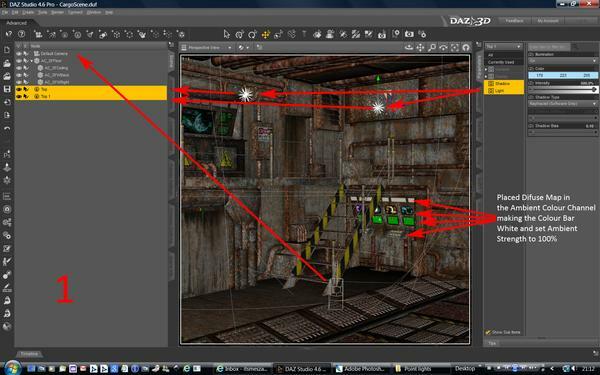 :) But if you need realistic light Fall Off then I do recommend the Uber Lights or Shader Mixer based home-grown lights. Any lights, Spot or Point, with a fall off function are handy when using atmospheric cameras in volumetric mode. Meaning used wisely they can give you that glow in the fog look. 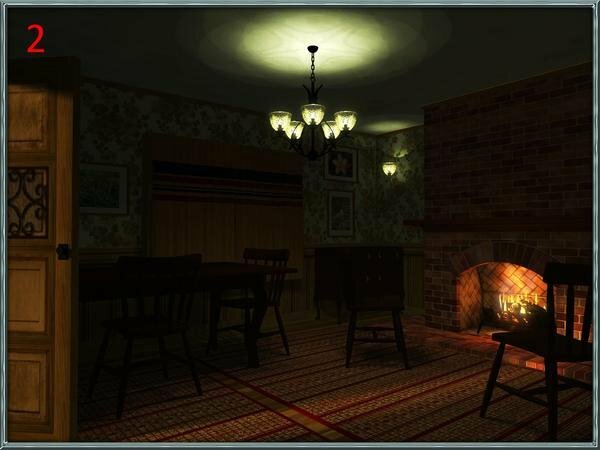 With image one below I used Linear Point lights only to light the scene using a volumetric camera from Atmospheric Effects Cameras for DAZ Studio. It took some tweaking the camera and light settings but I hope you agree it was worth the effort. Side Note: What is a volumetric camera think air, it has volume, dust particles, smoke, fog (water particles) etc we just don’t see it often. This camera mimics this which can give the illusion of a volumetric world. Example of this is when you see light beams through a window. The light highlights the participles in the air; a smoke filled room is the best example of this. Another is what is termed in some CG circles as God Rays, lights beams poking through a gap in a dark dense cloud bank. But this is just one aspect of this camera set; it can simulate daytime Haze, simple uniform Fog and a few other goodies. 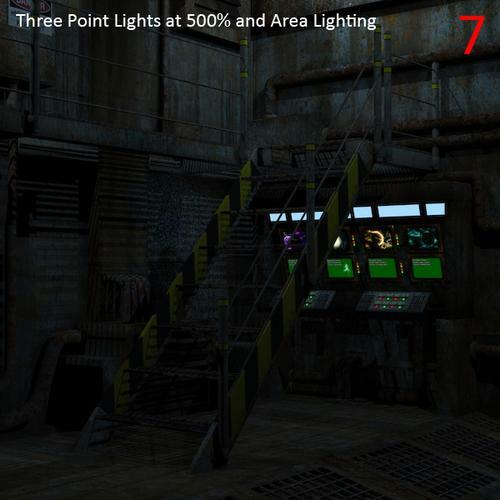 Point lights are also good for faking light bounce or fill lights to lighten up the shadows (without shadows turned on you can use the point lights as ambient light), candle or fire lights or combine them with spot lights for light fixtures as shown below in image two. You can even scale down a point light, use a negative value for the light intensity and place them up each nostril to eliminate Nostril Glow. But I urge you to solve nostril glow by adjusting the render settings Shading Rate, adjust the surfaces and looking at your lighting. But this is not the place for that sorry. TIP: Be careful how close to surfaces you place point lights as some extremely blown out spots (very bright) may occur. This obviously depends on the intensity and surface settings. The Example Scene below is made up of a Cube, one Sphere and both a Point and Linear Point Light at the centre of the sphere. Excuse the quality as with my system it takes a while to render anything, then add a volume camera, yep it has taken a while to get all these rendered which is why I chose medium quality to render. The camera was placed inside the cube to make a closed environment for the volume camera to work properly. 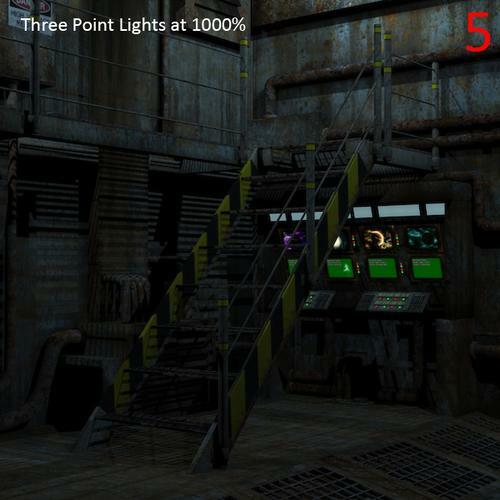 Both Point lights were set to 200% intensity with Ray Traced Shadows. See image 3: The Set Up. Image 3A is simply a normal Daz Studio Point Light with the sphere hidden. Take note of the hot spot in the volumetric render, the Linear Point doesn’t seem to produce this hot spot at the same intensity levels. 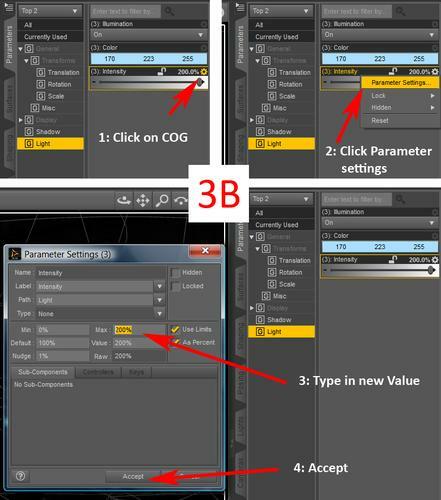 This is shown further down the tutorial. Fake Light Gels: Let us have some fun with placing Point lights inside primitives/objects, in this case a Sphere and then apply an opacity map to the sphere. Where the map is black parts of the Sphere will be transparent and white will show solid as shown below. So the light will pass though the sphere where it is black which is governed by the opacity map. Consider this a fake Light Gel. Again Uber Points and Spots have a Gel function built in which means you place this Opacity Map or Colour map in to the colour channel of the Uber light. 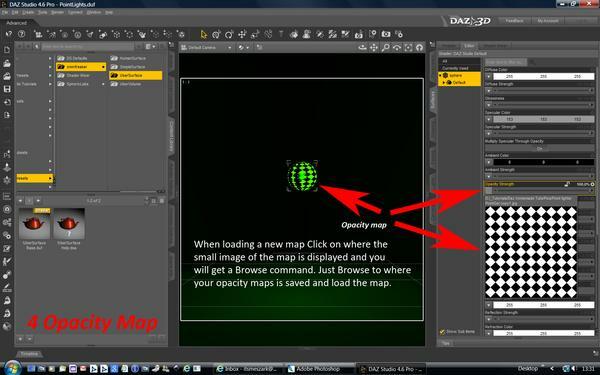 Images 4 and 5 will show what an Opacity map looks like and how to load it in Daz Studio via the Surfaces Pane whilst the sphere is selected. 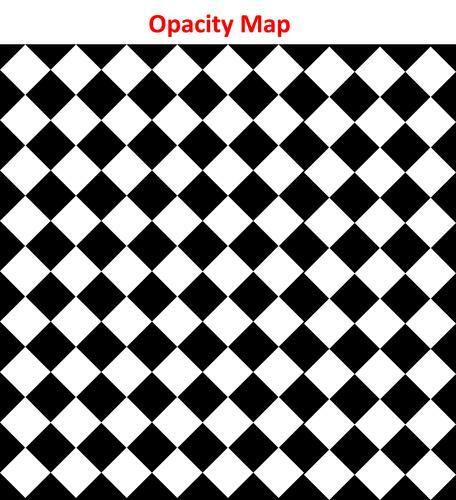 The Opacity map was made in Photoshop with the shape tool, scaling and duplicating the shape to make an array and saved as a .jpeg. Feel free to save the example, crop it square and have a little fun. The images in 5A are the results of using the above Fake Gel, then getting a little more creative hiding the Sphere using Uber Surface’s Fathom function (see the next post down for how to do this) and then finally adding a volumetric camera in to the mix. 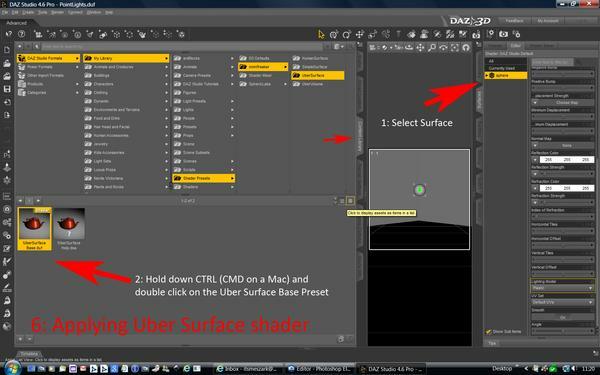 In images 6, 7 and 8 shows how to use Uber Surface and the Fathom function to hide an object from the renderer but still let the object cast a shadow in the render. This Fathom can be used for a number of effects and techniques. That is half the fun thinking how to use cool functions like that. 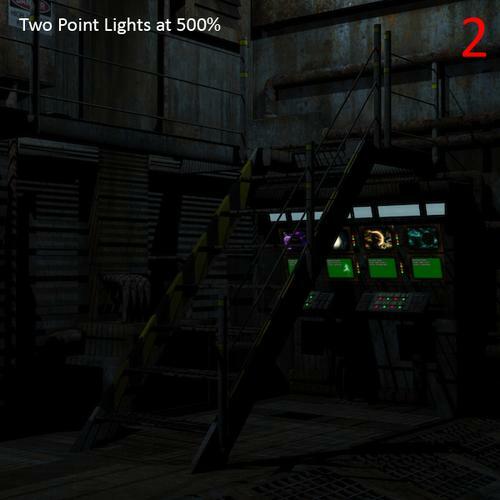 Linear Points Light examples: Same scene as above but this time using the Linear Point light instead. 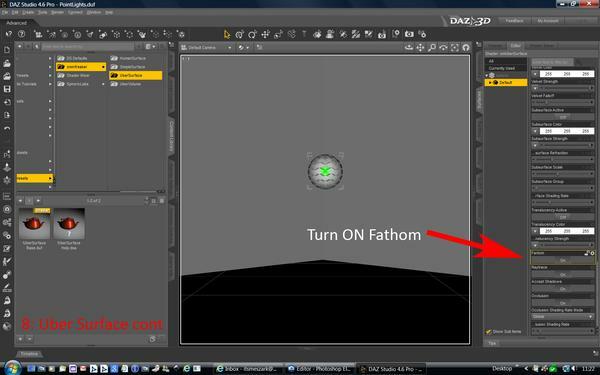 Image 9: As labelled the first example is at the default Fall Off settings as it loads in to Daz Studio. I increased the intensity to 200%, changed the colour and turned on Ray Traced Shadows. As you can see it just manages to hit the floor. The second I increased both the Fall Off values with more light spread. The third, like the second example but using the fake light gel sphere, funky stuff happening now. 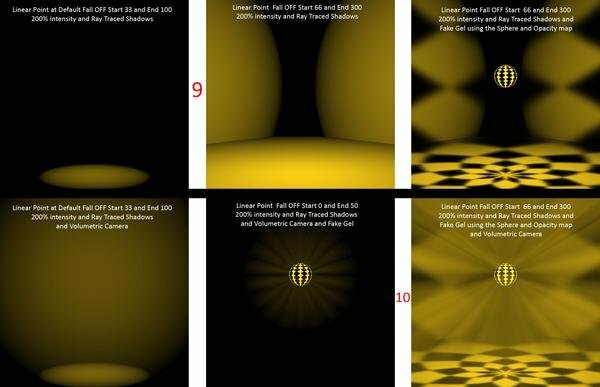 Image 10: All these examples use the volume camera and combine that with the control of linear point lights we have you can do some cool stuff. 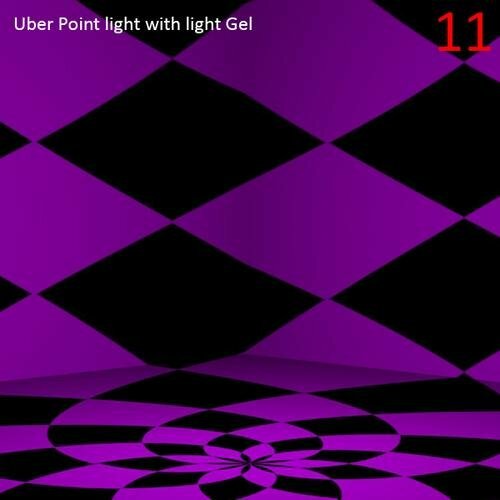 Image 11 is an Uber Point Light, Intensity 200%, Fall Off Start 0, End 500 with the Sphere’s Opacity Map placed in the Colour channel of the Point Light and set the colour bar to purple and rendered through the Default camera. Point lights are also good for making some cool shadows, especially when using well designed props, point lights really come in to their own.. Here I have a corner of the Loading Dock by Art Collaborations and some normal point lights. 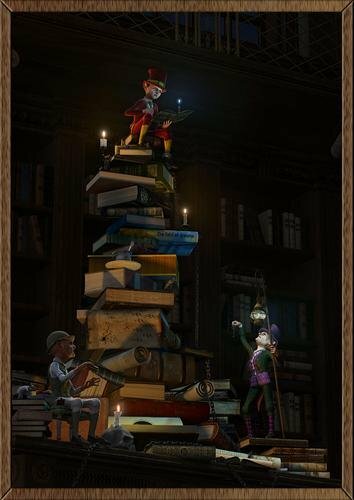 With this scene you don’t see the source of light so it really doesn’t matter where you put them. The only source of light in the part we do see are the screens and light strip that I made a blue colour. We could turn that strip in to an Area Light to add more light detail which I did in the next post. See my Uber Area Light Tutorial. 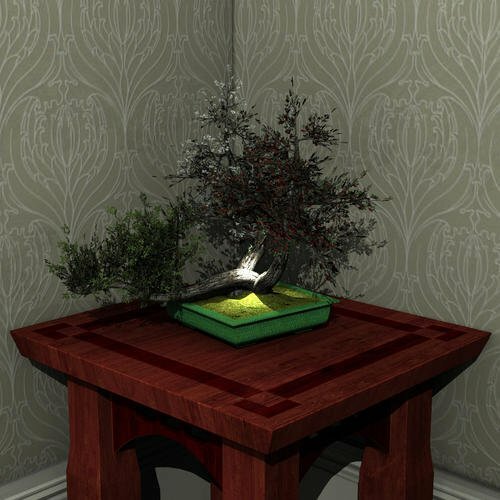 The first render in this series of images has two point lights as the base lighting at 500% intensity with Ray Traced Shadows, shadow Bias set to 0.10. The second render I added another point light, same settings as the other two, to lighten the right side of the image. The third render I just raised the intensity more. Just to show how point lights can work well with other types of lighting I started to mix it up a little. For the forth render I increased all three point lights to 1500% and added the Uber Environment 2 light at 20% Intensity set to Occlusion with Soft Shadows using the Soft Box HDRI Preset at 50% Saturation and at the 3HI Quality setting. 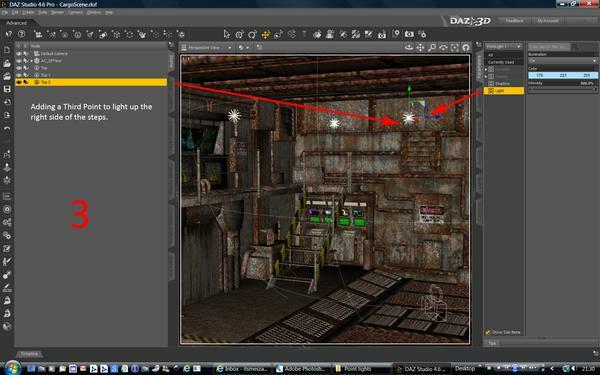 Building up the lighting like this, rendering each time you add a light, can help get your lighting right. The final image I deleted the Uber Environment 2 light and added the Uber Area Light base to the blue light strip above the monitors (screens) and set the Fall Off Start at 0 with the End set to 200.00 (2 meters) at 300% light intensity coloured the same as the ambient colour. I also dropped the Point light intensity down to 500% to create more mood. A excellent read and very good advice, clear and concise. LOL Thought you would be in bed by now Dad-Bruce. Thank you Laticis for the feedback, much appreciated. Nope not in dahouse either, init! A lot of great information here. Instead of getting overwhelmed, I am going to try them one at a time. 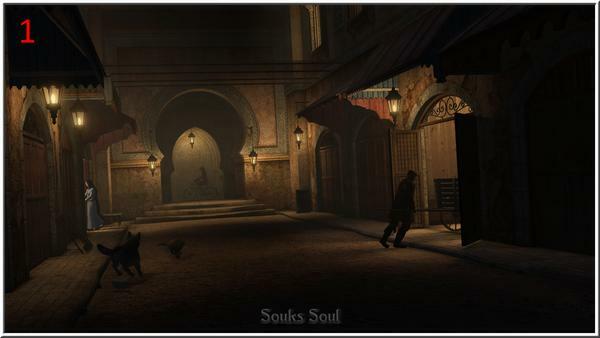 I love the Souks one. It didn't occur to me to use the Atmospheric Camera with Linear Point Lights. So I am going to play with that first. 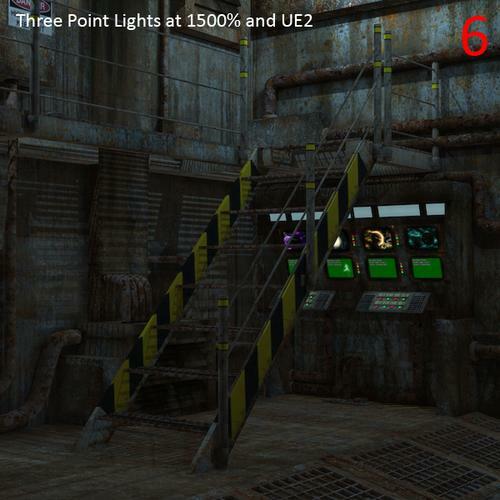 Carrying on from here I went and used Uber Point lights in this image http://www.daz3d.com/forums/discussion/2765/P195/#365882 added with Distant, Spot and Uber Environment 2 lighting, Just to show why Linear Point lights are handy lights to use. Here is what you can do with 6 Uber Point Lights and Uber Environment 2. Daz Studio 3A and Photoshop CS2 for a lot of layer work. Used 3 Genesis figures exported from DS4.6 as OBJ and Charmed for K4 clothing for all the figures which worked perfectly. Used Uber Surfaces a lot for the clothing and metal work. pwSurface candle mats presets for all the candles. AoA Atmospheric cams used for the candle glow. I rendered three Volume renders with the point lights at different Fall of Values, intensities to get the look I wanted for each layer. This is what I love about the original Genesis. I made the first top figure first in DS4.6, posed and then exported. Then went back zeroed the pose and messed with the face morphs I have in my library and I haven’t got many. Then adding to the Face Morphs I used Evolution and the Base morphs to make even more adjustments each time posing and saving out as an OBJ. I also used the same Callum skin mats on each figure adjusting the Ambient Strength of each set so they were different. This image was inspired by a resin sculpture called Spellbound made some years ago that my wife has in her vast collection of Dragon related resin figures. Hi Laticis, I just got your Watcher set. Great work. Thank you. I commented on the Render in Szarks art thread. I really like it. I wanted to do an image with points lights as the main light source for this tutorail since I made it. I commented on the Render in Szarks art thread. I really like it.You did, thanks dude. Watcher set?? A set of Watcher poses is that? Watcher set?? A set of Watcher poses is that?And some morphs for Genesis. Good stuff, need a link?